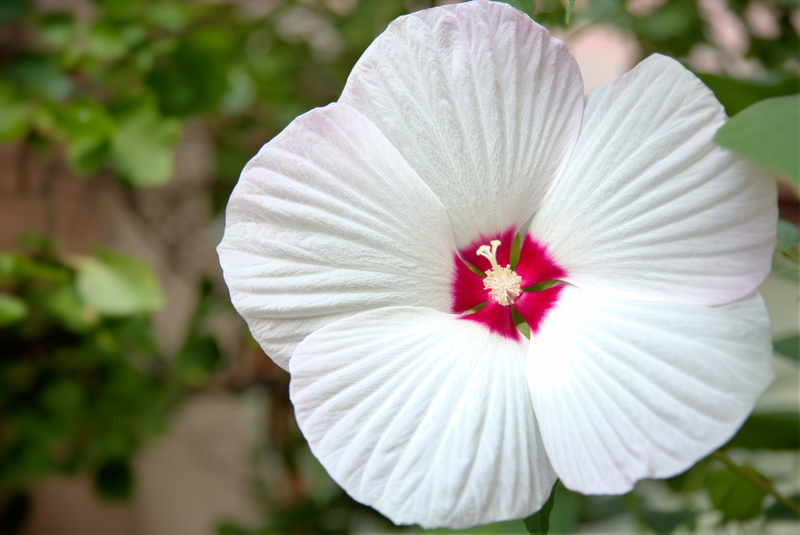 Swamp Rose Mallow is a hardy hibiscus with a red-centered, large white flower. 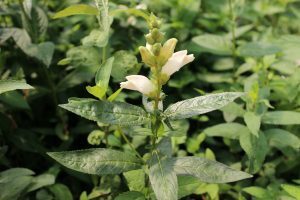 The showy white blooms open in the morning and close at night. 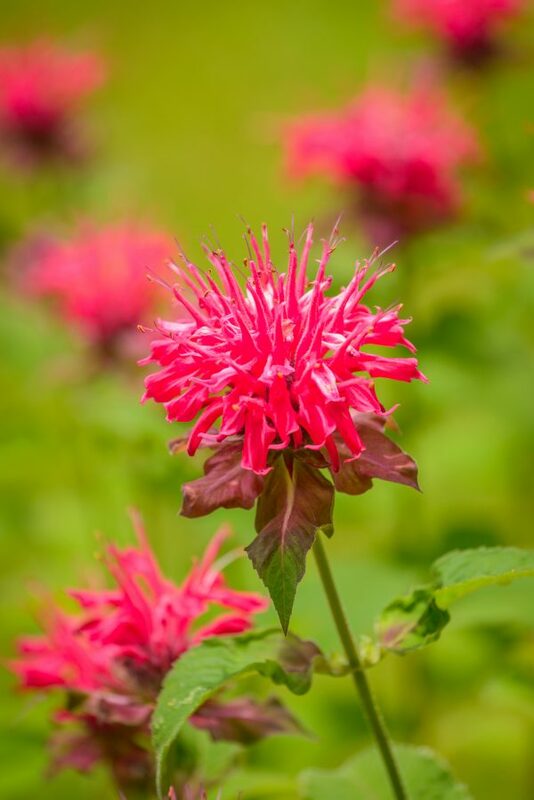 It prefers moist soil but it is adaptable to average conditions as well. It will also tolerate some shade but this could stifle the flower display. 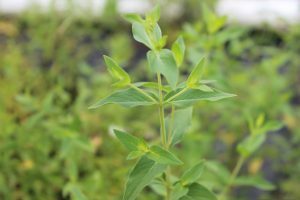 If a bushy plant is desired, cut or pinch back when they are 12 inches to promote more branching. 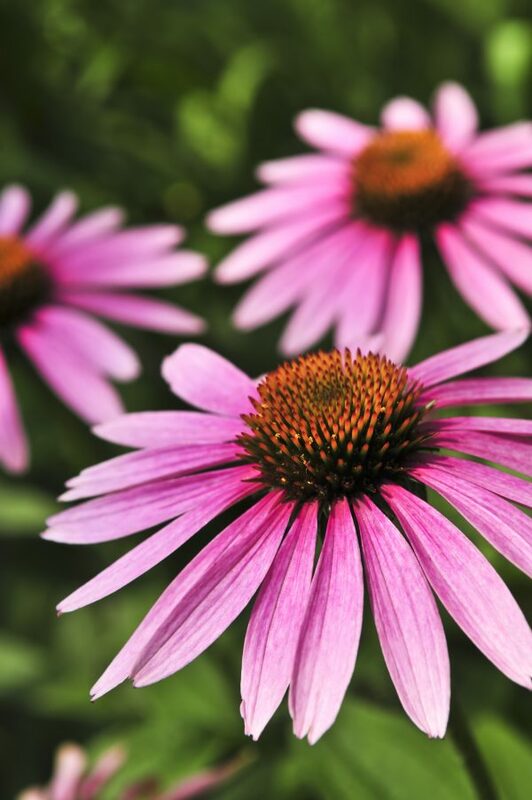 They attract butterflies and other pollinators into the landscape. 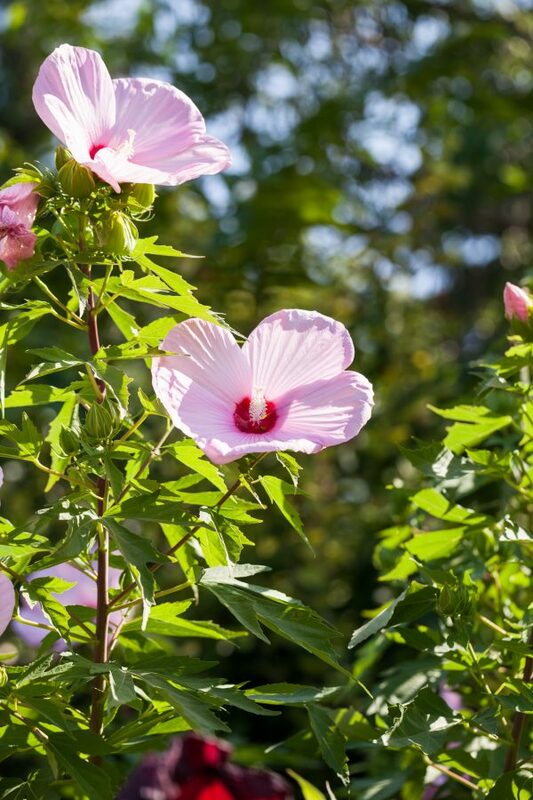 Swamp Rose Mallow can be used in a rain garden, as well as a perennial border that stays moist. Average to wet, prefers rich.